We’re baaaaaaack…scary plants and all! Here’s a Halloween-week treat: Solanum pyracanthum – porcupine tomato. Not hardy, very poke-y. Deer don’t mess with it. 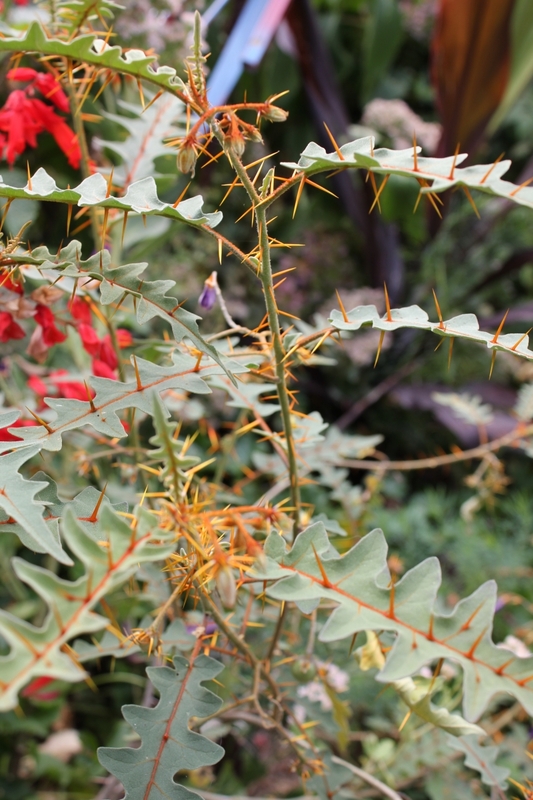 Native to Madagascar and available through Annie’s Annuals or by seed from several sources. Photo taken in my friend Elissa’s fabulous garden, right before frost last week. Posted on October 28, 2013 Author Holly ScogginsCategories Holly Scoggins, Interesting Plants, Perennials and Annuals2 Comments on We’re baaaaaaack…scary plants and all!